Douglas MacArthur (January 26, 1880-April 5, 1964) was a controversial American general. The son of a famous general, MacArthur was driven by a limitless ambition. Displaying suicidal bravery and remarkable leadership ability, he became a brigadier general during WWI. Continuing to rise, MacArthur became chief of staff in 1930, but was publicly criticized following the brutal eviction of the Bonus Marchers, WWI veterans camped out in Washington. Denied a second term as chief of staff, it seemed that his career was over and he retired from the U.S. Army in 1937. When war with Japan seemed inevitable, President Franklin Delano Roosevelt recalled MacArthur to active duty in July 1941 and gave him command of the Philippines. Taken by surprise by the speed of the Japanese invasion in late December 1941, MacArthur was evacuated to Australia where he oversaw the island-hopping campaign and eventual recapture of the Philippines. Following the Japanese surrender, MacArthur was appointed American viceroy, and implemented sweeping changes in Japanese society, economy and politics. Taking command of the American response when North Korea invaded South Korea in 1950, an amphibious landing at Inchon ensured victory, but he permitted American forces to approach the border with China, which provoked a massive Chinese intervention. After repeatedly defying President Harry Truman, he was relieved of command in 1951. Failing to win the Republican nomination for president, MacArthur suffered the humiliation of seeing his former aide, Dwight Eisenhower, become president. Retreating from public life, MacArthur died on April 5, 1964 due to kidney and liver failure. 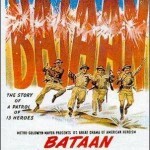 In 1942, the Japanese have overrun the Philippines, trapping the American and Filipino forces commanded by General Douglas MacArthur (Gregory Peck) at the Bataan peninsula and nearby Corregidor Island. Concluding that the capture of famous war hero MacArthur would damage morale, President Franklin Delano Roosevelt (Dan O’Herlihy) orders the evacuation of the general to Australia, where he discovers that Australia also faces the threat of a Japanese invasion. Taking the offensive, MacArthur attacks the Japanese at New Guinea, rather than let then land in northern Australia. Eventually leading a successful invasion of the Philippines, he then accepts the Japanese surrender, and oversees the occupation of Japan. Treating his former enemy with surprising kindness, MacArthur engineers the complete transformation of Japanese society. When Communist North Korea suddenly invades South Korea in 1950, MacArthur is placed in charge of the UN forces sent to repel the North Koreans. Disregarding the many obstacles, MacArthur plans a bold landing at Inchon, trapping the enemy between two armies. Taken by surprise by the Chinese intervention, MacArthur believes that the war should be expanded to include China. After clashing repeatedly with President Harry Truman (Ed Flanders), MacArthur is finally relieved of command in 1951. Adopting a relatively even-handed approach, the script shows how major events like the Japanese invasion of the Philippines during WWII, the outbreak of the Korean War, and the Chinese intervention, were viewed differently by MacArthur and the president in Washington. Since MacArthur’s military career stretched from the American occupation of Vera Cruz in 1914 during the Mexican Revolution to the Korean War, the producers understandably chose to focus on three periods in MacArthur’s lengthy career: WWII, the American occupation of Japan, and the Korean War. Like the real MacArthur, the screen version does not think the world revolves around him, just wherever he happened to be. Trapped at Bataan, MacArthur is convinced that the American government will mount a relief expedition. When chief of staff George Marshall and Admiral Ernest King, commander of the American fleet, reject a relief expedition because the Japanese blockade is too strong, Roosevelt correctly points out that MacArthur refuses to accept the global nature of the war, therefore he will accuse the president of abandoning him. Unwilling to bear the bad press that would follow the capture of a war hero with massive popularity among Republicans, Roosevelt orders the evacuation of MacArthur. Despite the perceptive analysis of the factors behind the evacuation, the script fails to mention that the defenders were in such dire straits because of MacArthur’s bungling. MacArthur’s air force was caught on the ground and destroyed several hours after he was notified that the Japanese had bombed Pearl Harbor. His strategy of stopping the Japanese on the beaches was doomed to failure in an archipelago filled with the soft, sandy beaches popular with tourists and amphibious invasion forces. Worse, huge stockpiles of supplies had been prepared for the forces defending the beaches. When the defence was overwhelmed by the Japanese, the supplies had to be abandoned, even though they would be desperately needed at Bataan. It is unfortunate that the movie only presents MacArthur at the height of his power. As a young brigadier general in WWI, MacArthur had only contempt for senior generals who lived in luxurious chateaus far from the front and assigned impossible objectives to units. However, he had become what he hated by WWII. Although forced to bear the same rough living conditions as everyone else in Bataan, there would be a steady progression away from the front after he reached Australia. This emphasis on comfort reached a peak in the Korean War, where he tried to oversee the war from Tokyo, flying in for brief photo-ops, but never spending the night on the peninsula. Aware that MacArthur is obsessed with defeating the Japanese before Admiral Chester Nimitz, the fictional Lieutenant General Walter Krueger, commander of one of MacArthur’s two armies, comments that MacArthur is a pompous attention-seeker, and his staff is a court, which is an accurate description of the morass of mediocrity surrounding MacArthur. The route to advancement in the American army involved a variety of postings, including school, staff and command positions, but MacArthur created a staff of officers who were loyal to him and would remain with him as long as he needed him, not until their next posting. Chosen for loyalty, not ability, the officers around MacArthur were more concerned with their position on the pecking order than winning the war. The one area where MacArthur’s staff excelled was marketing their patron. Some of the movie’s best scenes present Sid Huff and Courtney Whitney’s skillful use of publicity to make MacArthur a hero. Reaching Australia, MacArthur held a press conference where he announced that he would not rest until he had freed the Philippines, concluding with the phrase “I Shall Return”. 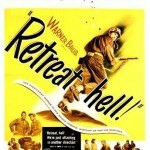 “I Shall Return” was printed on all supplies dropped in the Philippines by the U.S., instead of “We Shall Return,” as requested by the War Department, because MacArthur refused to share the credit. Possessing a gargantuan ego, the real MacArthur had ignored the fact that he was able to pose for pictures striding through the surf in the Philippines because hundreds of thousands of soldiers and sailors had risked their lives fighting the Japanese to capture the islands. Serving as further evidence of MacArthur’s enormous self-fixation, he is furious that the bombing of Hiroshima and Nagasaki meant that his meticulously planned invasion is not needed, even though the bombs saved the lives of thousands of American soldiers. MacArthur is justly presented as an excellent occupier of Japan, probably the greatest accomplishment in his life. Japan was literally in ruins by the end of the war, and the real MacArthur surprised the Japanese with his decision to treat them with kindness. In fact, the portrayal of the Japanese occupation is remarkably accurate, since he did break the great landed estates and the right-wing industrialists who had helped lead Japan during the war, while permitting a strong labor movement and compelling the Japanese government to give equal rights to women. The screen MacArthur admits that his plan resembles FDR’s New Deal, which he had opposed in the U.S., but was willing to accept in another nation. However, the script makes a major error when the Japanese government decides on its own to renounce war forever. Actually, MacArthur forced it to accept a constitution with that clause. The film’s weakest section is the Korean War. When North Korea invades the south, the screen MacArthur immediately assembles his staff for war, which ignores the complete chaos in Korea and his initial dismissal of the invasion as simply a powerful border raid. Firmly opposed to retreats and dismissive of the North Korean army, the real MacArthur hastily sent American units from the occupation force in Japan to Korea, which resulted in a series of embarrassing routs. Lieutenant General Walton Walker finally stabilized the situation when he dug in around the port of Pusan, and let the North Korean army break itself against his defences. Aside from a brief scene where the screen MacArthur criticizes Walker’s decision to retreat, MacArthur’s role in the disastrous response to the North Korean invasion is ignored in favor of his organization of the technically impressive but strategically unimportant landing at Inchon, far behind enemy lines. Facing a hard re-election fight, the screen Truman flies to Wake Island to meet MacArthur, intending to use the meeting with the iconic general as a photo-opportunity to bolster his support. The movie has genuinely been faithful to actual events but the meeting between MacArthur and Truman has been airbrushed. The screen MacArthur salutes Truman and then shakes his hand, but the real man did not salute, demonstrating that MacArthur considered himself equal to the president, who was actually his commander. This may seem to be a trivial criticism but it is a key issue in a nation founded on the concept of civilian control of the military. During the meeting with Truman, MacArthur states the war will be over by Christmas, and the script correctly shows that he said that the Chinese would not intervene. Suddenly endless waves of Chinese ‘volunteers’ overwhelm the UN forces. While the real MacArthur eventually accepted that several hundred thousand Chinese had entered North Korea, the movie sidesteps the inconvenient fact that he had insisted that they were token forces during the crucial first few weeks of the Chinese intervention. Once he acknowledged the presence of a powerful Chinese army in Korea, the genuine MacArthur overreacted, predicting that Lieutenant General Matthew Ridgway, Walker’s successor, was doomed to failure but Ridgway’s campaigns were successful because he was a good general. While the script presents Ridgway’s achievements, it does not mention that the greatest obstacle Ridgway faced was not the Chinese volunteers but MacArthur’s habit of holding press conferences the day before each new campaign would start, thus warning the enemy to prepare. The film captures the real man’s fury that he was not permitted to widen the war and bomb airfields on the Chinese side of the Yalu river. Having repeatedly defied the president, MacArthur finally goes too far and announces that the Chinese will have to negotiate personally with him. This announcement was the last straw for Truman, who fires MacArthur. Returning to the U.S., the screen MacArthur receives a huge ticker tape parade and makes a speech to Congress where he criticizes Truman’s policy of appeasement. However, the movie failed to present later testimony by Secretary of Defense George Marshall and the Joint Chiefs of Staff, which demonstrated that MacArthur knew nothing of the world outside of Asia. 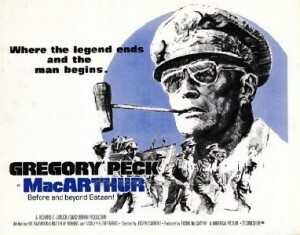 MacArthur was intended to repeat the financial and critical success of Patton (1970), which had been produced by Frank McCarthy as well. Having failed to lure George C. Scott to play MacArthur, Gregory Peck was hired instead. Although Peck performed extensive research on the general’s life, he refused to wear rubber noses to mimic the real man’s appearance. A liberal, Peck initially found MacArthur’s conservative politics difficult to stomach, but his research gradually made him appreciate the man’s accomplishments, concluding that all of the criticism of him was merely gossip. In fact, Peck came to adopt the character’s viewpoint, therefore he struggled to ensure that the script portrayed him in a favorable light, and he reacted badly when other characters in the film criticized MacArthur. While Peck may have sympathized too much with his character, he does portray MacArthur’s growing paranoia that everyone in Washington was an enemy. However, the key issue was the budget. Originally planning to shoot in Asia, when Universal cut the budget almost in half, the producers were forced to make the movie in southern California, using locations that bore little resemblance to the Philippines, Australia, Japan or South Korea. Director Joseph Sargent did what he could, but the result looks cheap, especially the battle scenes, which would not seem out of place in an ABC movie of the week in the early 1980s. In addition, the film’s length was cut to 130 minutes, unlike Patton’s 169 minutes, which provided the time needed for an in-depth look at a complex man. The problem is not just the locations, but the lack of good actors. O’Herlihy does a good impression of FDR, while Flanders is excellent as Truman, but none of the other actors are in Peck’s caliber. In fact, most of the acting is second-rate. Oddly enough, one of the movie’s strengths are MacArthur’s numerous pompous speeches. Admittedly difficult to sit through, the real man had an incredibly bombastic nature, and apparently spoke every minute of the day as if his words were being recorded for posterity. While the movie does show MacArthur’s self-fixation and disturbing paranoia, it skips over many of his mistakes because they would have required a much, much, much longer movie. Good review. This was a botched opportunity. After Patton, MacArthur was the American WWII general who could provoke love or loathing. 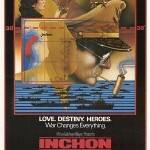 You would think with Peck, they would have been able to give “Patton” a run. No such luck. The movie is painfully low budget and you certainly are right about the B-grade supporting cast. Ed Flanders is spot on as Truman. The movie is instructive and fair as a biopic, but boring as a war movie. The combat scenes are sparse and poor. There is a lot of talking, but the speeches are good. For someone as interesting as MacA., the movie is curiously flat. On a personal note, the movie is too balanced because I strongly believe (as you suggest) that MacArthur was terribly overrated as a general. To add to what you pointed out. He seldom, if ever, visited Bataan during its conquest. His insistence to invade the Philippines was very costly and unneccessary strategically. Thank goodness he was not in the loop for the atomic bomb decision! His Medal of Honor is certainly in the Top Ten most undeserved. thanks, I totally agree that MacArthur is an overrated general, especially in Korea, where he was horrible. Always found this to be a bit of an underrated film, though still not what it could have been. I agree that the absence of MacArthur’s younger years would have proved an interesting addition. A full presentation of MacArthur’s entire life would have been interesting but the limited budget was the problem. It is worth watching for Peck’s performance though.